List Rules Vote up the doll you'd be most scared to be locked alone in a room with. There certainly isn’t a lack of creepy talking toys out there. They got their start back in 1877 and have been nightmare fuel ever since. The horror genre has been filled with inanimate objects that spur to life with nothing but murder on their minds. Child's Play, The Twilight Zone, and even shows and books marketed towards children broach the subject of nightmare toys like the famous "Slappy the Dummy" from Goosebumps and the “The Haunting Hour” episode about the evil "Really You" doll. The eeriest talking toys are those that are unintentionally scary, the ones that are meant to thrill and delight but instead induce the chilling feeling that there’s something sinister behind those plastic eyes. This list is a collection of scary toys for kids that would give even a full-grown man a serious case of the heebee jeebees. As if the concept of a doll wearing a twisted face of insanity while laughing maniacally wasn’t traumatizing enough, the commercial for this creep-tastic toy plays out more like the trailer for a horror film than a toy ad. As the doll rocks back and forth while giggling uncontrollably, the ad suddenly jumps to the faces of freaked out little girls who soon become infected with Baby Laugh-A-Lot’s madness and begin laughing too. All the commercial is missing are some child-sized straightjackets. After Thomas Edison invented the phonograph back in 1877, he had the clever idea of using the device to record audio and then stuffing it into the backs of children’s toys. 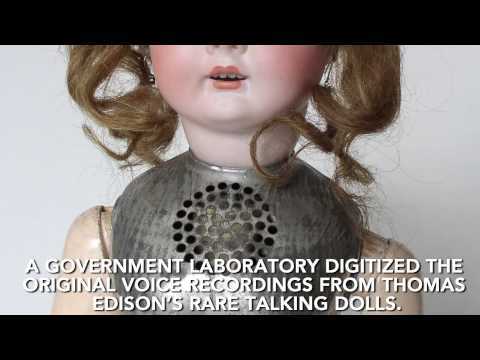 These dolls that could talk or sing to their owners were released in 1890. And some are still around! Although some have undergone extensive repair, they still contain some of the oldest surviving voice recordings in history. In shrill, creepy little voices, they shriek various prayers and nursery rhymes at you. They were only in production for six-weeks because they were too fragile for shipping. They also had such a short production period because they were absolutely terrifying children who wanted nothing to do with the creepy little creatures. In 1965, Mattel proudly introduced a talking doll named Baby Secret to the horror of children everywhere. Baby Secret likes to keep her owner close, whispering creepy things such as, “I like to sleep with you” and “hold me closer” into their ears, intermingled, obviously, with the occasional demon summoning. 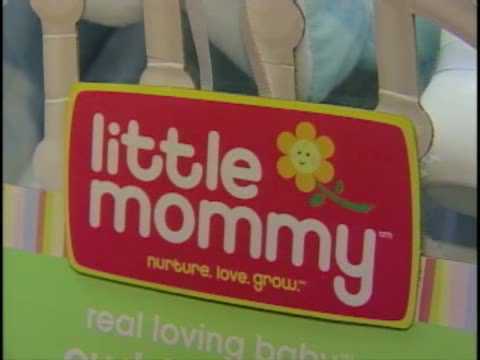 The Little Mommy Doll caused some serious controversy when she was released in 2008 because, allegedly, she could be heard uttering satanic and pro-Islam messages, causing parents and media outlets to freak out. Target pulled her off the shelves pretty fast and encouraged patrons to bring her in for a full return (or an exorcism, buyer's choice).